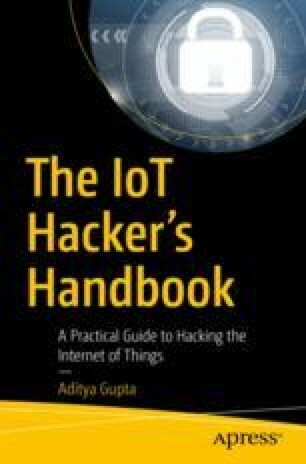 In this chapter, we have a look at two of the other (apart from UART) most common serial protocols, namely I2C (pronounced I-2-C or I-square-C) and SPI, and see how they are useful for our security research and exploitation of IoT devices. Both SPI and I2C are useful bus protocols used for data communications between different components in an embedded device circuit. SPI and I2C have many similarities and a couple of differences in the way they function and how we interact with them.